We would not have considered anyone else to sell our house. We would not have considered anyone else to sell our house. 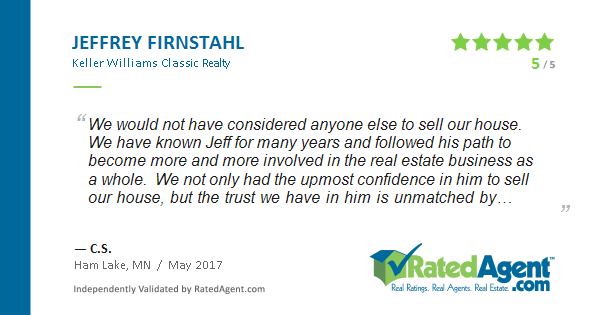 We have known Jeff for many years and followed his path to become more and more involved in the real estate business as a whole. We not only had the up-most confidence in him to sell our house, but the trust we have in him is unmatched by anyone else. He is an excellent real estate agent and a good, good person. We will continue to refer everyone we know that is looking for a home or selling one to use Jeff! — C. and C. S.